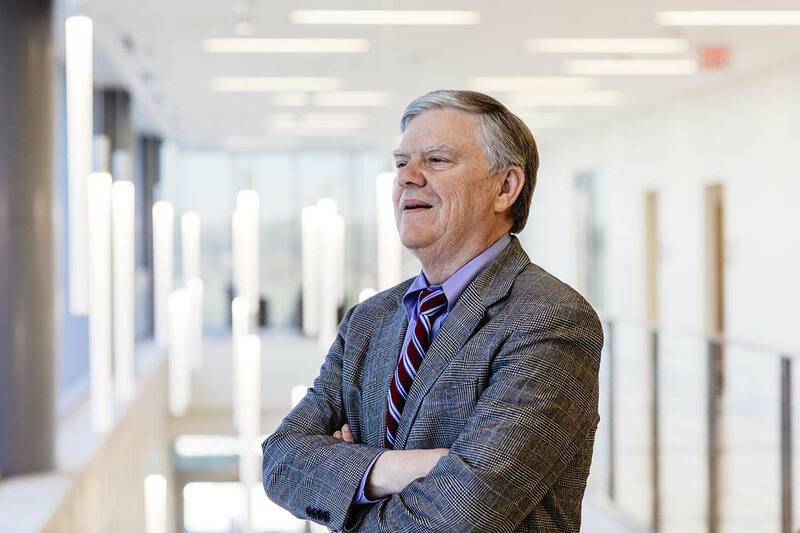 Shortly after medical school during his residency at Baylor College of Medicine, and years before he became founding dean of the UH College of Medicine, Stephen Spann realized he was not on the right career path caring for the sickest of patients toward the end of their life. He was much more interested in keeping people well earlier. So he left Houston and headed for the hills of Arkansas where he tested the waters of family medicine. It was exactly what he had hoped. Being involved earlier in the stream of care allowed him to prevent the early onset of debilitating conditions and watch his patients thrive. Convinced this was his calling, Spann completed a residency in family medicine at Duke University and set up practice in rural North Carolina to take on what he viewed as the ultimate challenge: providing care in regions where both doctors and resources were sparse. He took care of people “womb to tomb.” Like working in a small shop, he did everything. He was the doctor for the high school football team, and he made house calls, including newborn visits after every birth. He spent three years in North Carolina, where he established a network of clinics. From there, he taught at the University of Oklahoma College of Medicine, headed up Family Medicine at both The University of Texas Medical Branch-Galveston and Baylor College of Medicine and taught medicine under the Johns Hopkins umbrella in the United Arab Emirates. To put it plainly, he’s been around and he understands the importance of primary care. It is why Spann, more than many, understands the significance of Texas, and Houston, having a doctor shortage. It’s not obvious if you live in an urban middle class neighborhood or in the shadows of the largest medical center in the world. But in rural areas and woven throughout the fourth largest city in the nation are health care deserts—vast neighborhoods where hospitals and clinics are rare or nonexistent, and residents have little means. Texas has a little more than 20,000 active primary care physicians. But, according to the Association of American Medical Colleges, the state will need to add another 6,400 by 2030. Just to meet the national average, that’s a 32 percent increase over roughly the next decade of a medical commodity declining in popularity. That deficit is what has driven the University of Houston to navigate a path laden with political, financial and administrative hurdles to establish a College of Medicine. One that takes an approach unlike the other three schools in Houston—the last of which opened in 1972 when the population of the metropolitan area was a third of today’s six million plus. Existing medical schools produce primary care physicians. But as the economic reality of becoming a doctor has set in, more and more students have chosen to specialize in disciplines such as orthopedics or cardiology. Such subspecialties often pay two- to three-times higher salaries and better ensure a comfortable living as the cost of their education; the delivery of care and medical malpractice premiums have all risen, and government reimbursement rates for care provided to Medicare and Medicaid patients have declined. Among the chief supporters of a UH College of Medicine are the collective 60 institutions that comprise the Texas Medical Center, whose president, Bill McKeon, views the University’s model as “extremely complimentary” to existing hospitals. “I am a huge supporter of this for many reasons,” McKeon said. While TMC boasts a great depth of specialists, among them some of the most renowned in the world, McKeon emphasizes the need for a broad-based net of primary care physicians as essential to support the day-to-day needs of communities and improve the health of large populations. “So when we think about this world being more about preventive care, about managing chronic illness, that needs to be done largely by primary care physicians,” McKeon said. He notes only about 20 percent of medical graduates currently gointo primary care practice. As examples, Spann points to students from rural areas or whose parents worked in service professions such as teaching, clergy or in nonprofit, who tend to be more interested. So are those who have taken a hiatus between college and medical school to do something altruistic, perhaps joining the Peace Corps. He knows this because the data backs it up, and he’s lived it. He grew up in Uruguay, where his parents were missionaries. It is with this global view from the deserts of the Middle East to the countryside of the American Southeast that Spann understands what it takes to improve health in the far reaches of society. And, the background and teachings that demonstrate the need and instill the empathy that ultimately sets newly minted doctors on a career path less taken. That’s why, in addition to recruiting goals, the UH culture and curriculum is also vastly different. Built into the program is a heavy dose of learning in a primary care setting. Rather than spending a four- to six-week rotation in family medicine, common among most medical schools, UH medical students will experience a longitudinal primary care clerkship, in which they will spend a half-day per week for the duration of their studies in a primary care setting. “So they will be immersed from day one, over four years, heavily exposed to primary care,” said Spann. Part of that exposure is through a Household Center Care component in which inter-professional teams of UH students from medicine, nursing, pharmacy and social work will be assigned families with complex medical-social problems who live in underserved communities. They will follow those families monthly. The strategy is modeled in part after similar medical programs Spann toured at Florida State University and Florida International University. Both medical schools have reached the goal of half their graduates committing to careers in primary care. Florida State achieved 55 percent through its first six years. “This is an investment in our future that will pay huge dividends to our communities. It will start to change the way medical students are delivering care,” said TMC’s McKeon. Access to health care across the entire socioeconomic spectrum is something that Bob Harvey, president and CEO of the Greater Houston Partnership, recognizes as essential to economic growth. 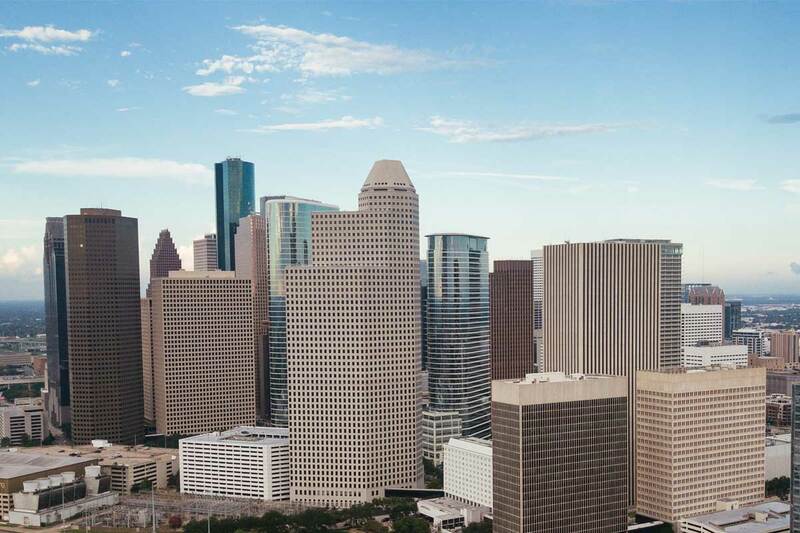 Harvey has found health care is typically in the top three on the list of questions from businesses considering expanding or moving to the Houston area. “There’s a greater concern today among employers that the overall state of Houston’s health care system is not what we need it to be,” he said. A few hurdles remain on the path to welcoming the first class of students to the UH College of Medicine. While the University of Houston System Board of Regents approved the college last year, the University is seeking national accreditation from the Liaison Committee on Medical Education, approval from the Texas Higher Education Coordinating Board as early as this fall and partial funding from the Texas Legislature after it gavels in January. In the run-up, Spann and Jason Smith, UH’s vice president for governmental relations, have blazed a trail between Houston and Austin, and points afar, meeting with elected officials and their staff who will ultimately decide whether a UH solution to the state’s unmet health care needs is worth taxpayer support. That’s a high bar for any initiative, more so in light of new budget demands. “They are open to listening to us, which is the first step,” said Smith. In addition to the demonstrated need, the University has in its favor a plan to build the UH College of Medicine on long-existing health programs and research. Nursing, pharmacy, optometry, psychology, audiology, social work and innovation from engineering and architecture are just some of the disciplines that will contribute to the College’s holistic educational approach. UH is also finalizing an agreement with HCA Houston Healthcare for nearly 400 residency slots in area hospitals. Throw in an anonymous $3 million gift that will pay for the entire inaugural class of students, and Smith has found it makes for productive conversations with influential audiences. “I’ve literally had some legislators tell me ‘I was walking in prepared to have to tell you ‘no,’ but your message is so strong, you’ve designed it so well, I can’t say ‘no,’’’ said Smith. The University of Houston and Humana Inc., one of the nation’s leading health and well-being companies, have announced a long-term partnership to train the health care leaders of tomorrow. Both organizations will create the Humana Integrated Health System Sciences Institute at the University of Houston, uniting the University’s new College of Medicine, as well as the existing colleges of nursing, pharmacy, social work and optometry. A $15 million gift over 10 years from Humana will help defray start-up and operational costs for the College of Medicine and also fund endowed chairs for each of the five colleges. With its emphasis on underserved communities, the partnership aligns with Humana’s “Bold Goal” to improve the health of the communities it serves by 20 percent by 2020. While working to address social determinants of health, Humana is taking a population health approach to pursue this objective. The University’s partnership with Humana will build a talent pipeline of graduates that believe in, train and practice population health. The Sleep and Anxiety Center of Houston at UH offers low-cost, evidence based clinical services for children, adolescents and adults.